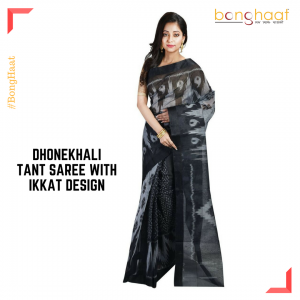 Buy Hand Woven Tussar Gicha Silk Saree from BongHaat.com. These hand woven Tussar Gicha Saree is of genuine quality and are to be dry cleaned only to keep the original quality. One blouse material of 0.8 meters is FREE with this Saree.